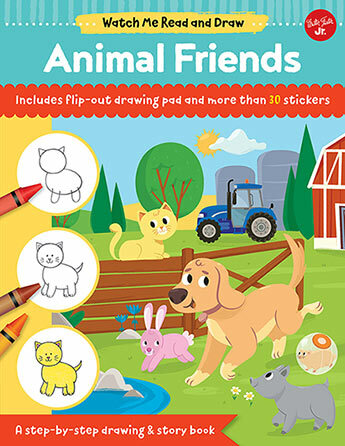 Watch Me Read and Draw: Animal Friends is a step-by-step drawing and story book that teaches kids to draw their favorite pets with simple steps and a fun, engaging story. 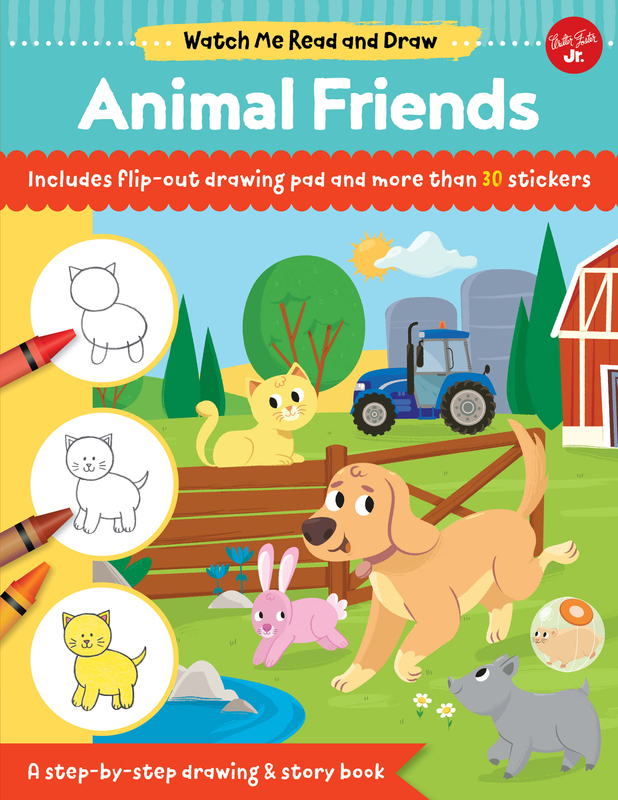 Watch Me Read and Draw: Animal Friends is a step-by-step drawing and story book that teaches kids to draw their favorite pets with simple steps and a fun, engaging story. What could be better for a kid than reading or drawing? Reading and drawing at the same time! Watch Me Read and Draw: Animal Friends offers just this. Kids will follow along with the adorable story while they learn to draw their favorite pets, step by step—including a playful puppy, a mischievous kitten, a colorful fish, and a friendly iguana.Basic shapes that budding young artists will recognize make it easy to learn how to draw. The flip-out drawing pad offers prompts, for a jump-start. Plus, there’s a treasure trove of colorful stickers inside as rewards for completing the story along the way. It’s the perfect starter drawing book for kids who love to read and draw. Samantha Chagollan is an award-winning author and editor of a variety of childrens fiction and nonfiction books. A native Southern Californian, Samantha grew up with a passion for telling and writing stories. Through the family’s art store in Huntington Beach, California, she taught arts and crafts to both children and adults for five years. She went on to earn a degree in literature from Humboldt State University in Arcata, California, where she focused her studies on multicultural literature and the Spanish language. After working for several publishers in the area, Samantha is currently working as a freelance editor and writer and is probably crafting a new story at this very moment.Mattia Cerato has illustrated many books, including Sticker, Punch-out & Play! : Construction;Sticker, Punch-out & Play! : Dinosaurs;and Just Imagine & Play: On the Site. He resides in Turin, Italy.